The 50th anniversary of Martin Luther King jr. speech "I have a dream" was on my mind all through last week for obvious reasons. But no matter how I twisted and turned it, the celebrations caught me between a rock and a hard place. For what are we still doing do others? 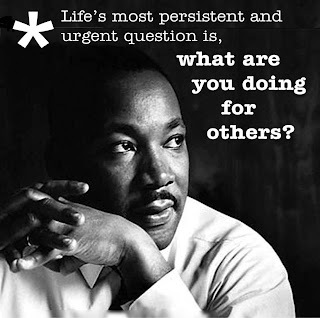 Martin Luther King is one of my big examples of humanity. A man, a human, who moves forward, gets his ideas out, connects with people over vast region, gets into their homes, fights inhumanity by means of argument, gathers interest against all odds, knows that he puts his life in the balance with every action he takes, while never knowing if it will lead to anything. Although the dangers must have been evident on a daily basis (police brutality, KKK still active), in his heart and soul he felt he had to be a spokesman, be a leader, be at the foreground of civil rights, of human rights, of the right to be an equal citizen. He walked the earth to get people behind the cause he believed was right and is right. But who is alive now, walking the earth for peace, prepared to fight verbally for lifting citizens up and create a better world for all? So here I stand. I want to celebrate his momentous speech, his inner-strength, his strong vision, but my mind keeps telling me that in this day and age we, the citizens, are lost in global inertia. How strange it is, to see that Obama celebrates with talking in the same location as MLK did, with strong arguments that a long road is still ahead to reach the dream uttered 50 years ago. But that same man is running the oval office, is preparing for war ... against citizens that are also deprived from rights because war is upon them. Don't get me wrong, I like Obama, I like people in the US, I like people in all countries, but the sheer contrast was too confusion for me not to stop and think at this strange discrepant mimicry. The UN is doing the same thing, supporting human right activists, yet pushing those same citizens into oblivion with all the best intentions. Every citizen in Syria is now put into a situation that none of us would ever want to be in. As a citizen of any country, you just want to live your life. You want to talk, love, eat, drink, debate, cook, work, learn... the only thing none of us want is a bullet. No matter where the bullet comes from, power always has multiple faces. Wars, bullets, warfare in all its variety kills innocent citizens. Those who have a right to live. The propaganda machine is up and running on all sides at the moment. For the west the propaganda moved on from: Arab spring (west in favor), Nobel Peace prize for igniting change (expliciting west in favor), looking away once civil-war broke out (west turning blind eye, media calm), and now (west with new interest, media in full swing) strikes are planned based on new ideas coming to mind of the powerful, having to think that shooting people will free them. Every war has the same propaganda joining it. Power seems to think citizens are idiots. Which makes me wonder whether the powerful give a damn about civil rights or human rights anywhere in the world, even if they celebrate some remarkable, undeniable facts and activists. We, the citizens are lost in many parts of the world. And war always hits ordinary people the hardest. I remember a friend of mine who was part of the Women in Black movement in former Yugoslavia when the war was on in that part of the world only twenty years ago. She was protesting for peace. She never choose sides, just like the others of Women in Black. They gathered mid war, demanding peace, in protest against all types of violence. Their group got smaller and smaller as their families were forced to choose. They were forced to choose each time a relative died (sometimes died, sometimes murdered to facilitate choosing). She refused to choose although her kin died, and therefor she was isolated yet strong in belief. War is never just and there is never a right side as long as people die. Only peace and equal living options is just. So where will the Syrian citizens, and all those citizens roughed up by wars that do not even make it into the news anymore stand? Which basic human living rights do they retain? And for me I wonder whether education can be guaranteed in those times of utmost distress. Disrupted society means disrupted education. All the soft benefits of life are the first to be taken away in times of war. Even though education is always an investment in the future, in the future of citizens, in the true resilience of a nation or let me say region (avoiding nationalism). But investment in humans is hard to put into short term cash it seems, and therefor education does not seem to have a real high priority for any engineering power. Yet education is the basis for civil and human rights understanding. So at regular intervals I ask myself, what should we do? Distribute educational content? How? Can we see any type of technology supported learning as an option? Could MOOCs or more general mobile and online learning really be an option that can provide war struck regions with some education? Can the format be used to lift people out of their moments of most intense collaborative misery? Some sort of Do It Yourself MOOCs or self-help educational packages that can be dispersed easily. But even if such a pack can be provided the main problem remains that if it is technology based then which citizens in their darkest war time hours can afford it, or even have access to it? 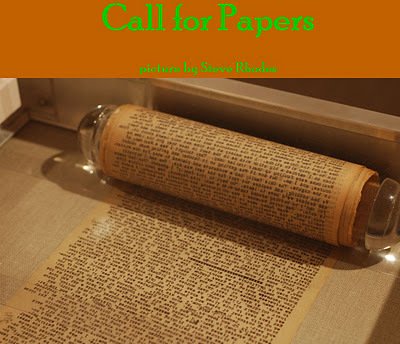 And adding to the call for papers I send out earlier today, a call send out by a MOOC conference. Organised by the École Polytechnique Fédérale de Lausanne (EPFL) and P.A.U. Education the event aims to be an opportunity to gatherEuropean actors involved in the Massive Open Online Courses (MOOCs) phenomenon, from policy makers to practitioners andresearchers. This conference is the follow-up of the MOOC Summit 2013. The goal of the summit is to develop synergies among European universities around themes such as student assessment, MOOC accreditation, platform interoperability or joint research initiatives. The conference will include four tracks (Policy, Experience, Research and Business) that are explained in detail below, with 5 sessions of 90 minutes and a keynote speaker. EMOOCs 2014 will also offer a series of workshops, meetings and the tutorial “All you need to know about MOOCs”. The Networked Learning Conference is an international, research-based conference. Since its inception in 1998 the conference has developed a strong following by international researchers. In addition it is well supported by practitioners, managers and learning technologists interested in contributing to and hearing about research in this area. The conference is considered a major event in the international 'technology enhanced learning' conference circuit. Plenary Panel will currently include David McConnell, Vivien Hodgson & Steve Fuller. IGI global Call for Chapters on Encyclopedia of Information Science and Technology (3rd Edition). These chapters gather a wide variety of topics (encyclopedia, so a logical array of subjects). After the impact and success of the first two editions, we are pleased to announce the editorial launch of theEncyclopedia of Information Science and Technology (3rd Edition). This publication is a landmark in the field of IS&T and has become one of the established reference publications in most predominant academic libraries around the world. Information Science and Technology as a field remains one of the most rapidly changing and expanding disciplines. It grows with each improvement to an existing technology or theory, each discovery of a better practice, and each application that often revolutionizes an entire field or way of life. In such an ever-evolving environment, teachers, researchers and professionals of the discipline need access to the most current information about the concepts, issues, trends and technologies in many areas. The Encyclopedia of Information Science and Technology (3rd Edition), will provide comprehensive coverage and up-to-date definitions of the most important issues, concepts, trends and technologies in IS and IT. This new publication will be distributed worldwide among academic and professional institutions and will be instrumental in providing researchers, scholars, students and professionals’ access to the latest knowledge related to information science and technology. Contributions to this important publication will be made by scholars throughout the world with notable research portfolios and expertise. The Encyclopedia of Information Science and Technology (3rd Edition) will provide a collection of short articles (3,000-5,000), authored by leading experts, offering an in-depth description of concepts, issues, challenges, innovations, and opportunities in the field of information science and technology and their impact on all aspects of modern organizations and society in general. Rural learners, Indigenous people, refugees, nomadic travelers, ... all vulnerable learner groups in general still face a lot of challenges and one of these challenges always comes down to education. Education for all still has a long road to travel, but some of us keep on paving the roads to get everyone on board no matter what the challenges. One of my close friends, Adele Botha, has been engaging in a successful mLearning project that is the starting point for a nationwide roll out of mLearning to reach all rural schools in South Africa, the so called Cofimvaba project. She is part of a wonderful CSIR team that is determined to roll out an optimized, strong education for the whole of South Africa and ... they will do it! The first phase has been successful and has provided 26 schools (3000 tablets) with new educational opportunities, but ... it is the complete approach that really blew my mind. One of the key elements in this project was a clear aim for sustainability and participation. 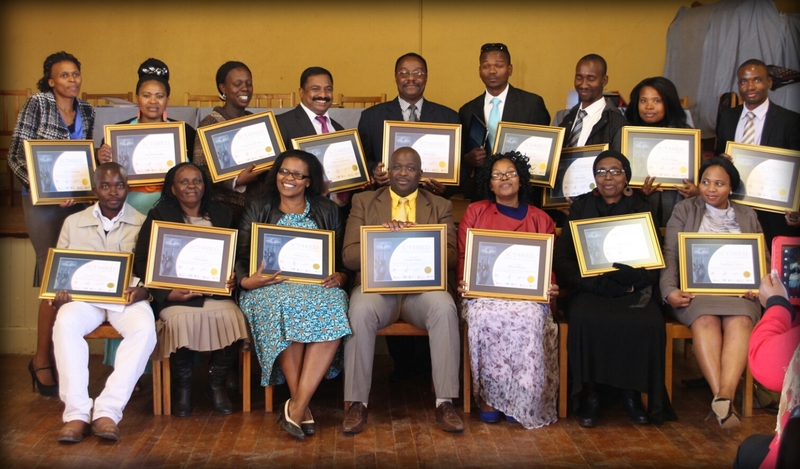 Getting both the rural teachers as well as the learners on board. But also tackling what the team calls 'basic enablers', a set of necessary preconditions for learning. These enablers included adequate infrastructure (buildings, sanitation, electricity, water and access to information and communication). These basic enablers are not just put there, but they are embedded in a human awareness program, providing learner support through health, nutrition ( including agricultural know-how), transportation and social activities. This means making all the stakeholders aware, ensuring a strong, competent leadership at the center of the community based on the teachers, educators and informed parents. This combination lifts the project to a higher level, education is no longer a stand alone action, it is at the centre, and it embraces and lifts up the whole community. This holistic approach does come at a serious investment cost as tablets are used throughout and infrastructure is set up, but instilling the idea of progress and opportunities into the heart of communities will give an undeniable return when today's young learners realize what they can do and transform their nation based upon stronger education and community capacity. The picture shows the first teacher graduates, having gone through a whole set of courses getting them on to speed with the tablets, the installed eBooks, the wifi's, the installed applications ... and all the opportunities offered by the new, connected technology that is part of a complete community approach. 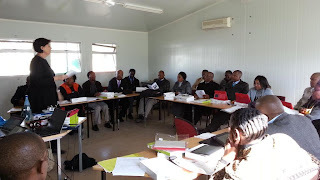 The testing ground of the project was based in Cofimvaba, Eastern Cape in South Africa and below you can see a short video of the project.